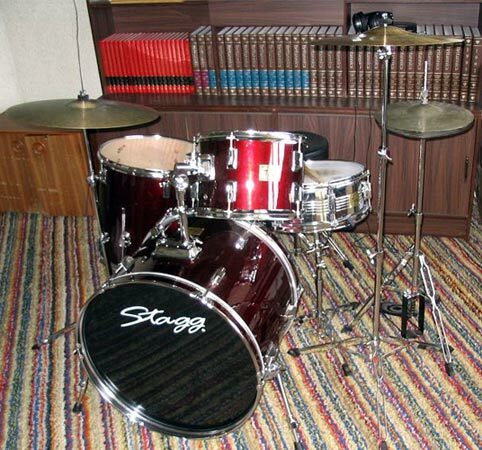 My name is Ben and I have a set of Stagg wr22 drums. 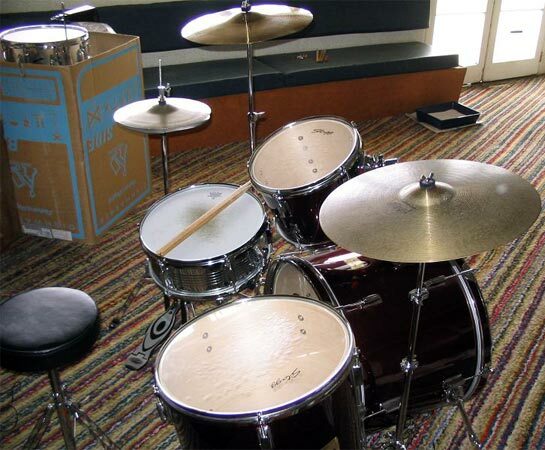 I have been playing for 10 years now (2005) but am on a tight budget (hence the Stagg kit). 22" bass drum, 14"x5" snare (not quite a piccolo but oh well), 12" mounted tom, 16" floor tom. With old 12" hats (because the stock stag hats are crap), 16" stagg crash, 18" paiste 602 (great sound).